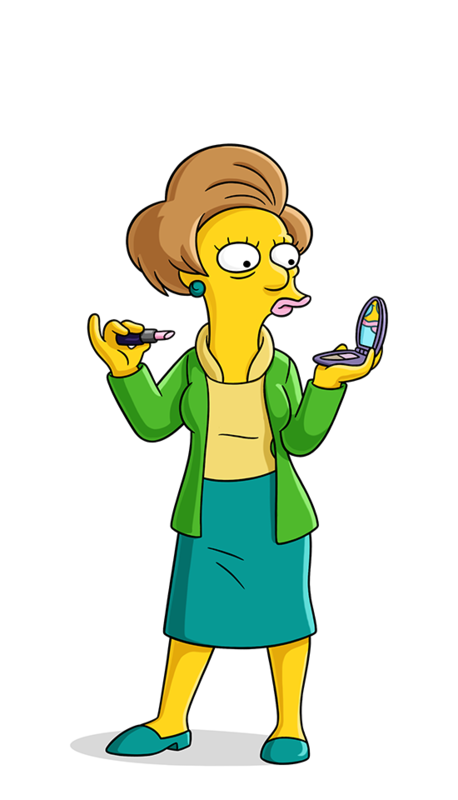 Edna Krabappel: 4th Grade teacher at Springfield Elementary. She lives in fear that Bart Simpson will be held back a grade. Secretly has a thing for Seymour Skinner. She smokes and is sexually frustrated. Says: "Bart Simpson -- go see Principal Skinner." While leading a teacher's strike, held up a sign that said, "Honk if you like cookies"
Ms. Krabappel receives a note in class. Feels like a Hefty Bag full of meat. Absolutely! This is the best DVD about cheese making I've ever seen!